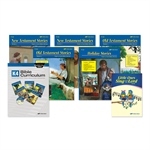 Tell your child the marvelous stories of our Lord and Savior during His earthly ministry as He tells parables, heals the sick, and loves people. 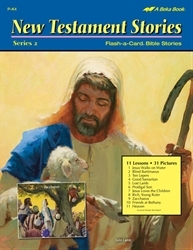 Specifically designed for homeschool use, this 8½" x 11" book includes 11 lessons and 31 pictures that tell about the Lord as He performed miracles and taught about His Heavenly Father. 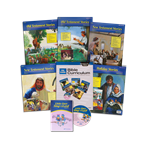 An easily detached lesson guide gives you detailed content to teach, prompts to use the pictures, and review questions for each lesson. Preschool–K4.